Welcome to the realization of a long percolating idea, my blog. 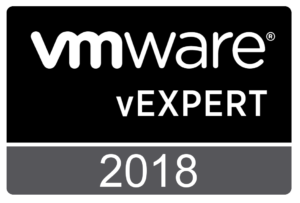 I came close to getting things going last year around the time of the wonderful Minneapolis VMUG EUC day, but obviously missed that by a bit. While I’m fairly sure I could spend all my free time getting things setup just right and never write post one, I’ve decided to get things good enough and start writing some posts. Who? I’m Jeremy. By day I’m a systems administrator in a university central IT department. Among my responsibilities is a university wide virtual desktop deployment. There’s also the standard range of systems tasks that come along with being responsible for University level systems. Further details about me can be found on my full CV. What? As you can guess from the name and tag line, you’re going to find technology focused blog posts, mostly around desktop virtualization, application delivery, and other topics in end user computing. This isn’t a strict definition of future content. You can also expect to find a heavy dose of standard datacenter virtualization discussion, some detours into web development topics, and plenty of posts of random technical interest. When? There’s no set publishing schedule, and posting will at times take a backseat to other activities. I’m aiming to average a post a month, but time will tell. Feel free to also follow me on twitter, @kayakerscout, for additional fun. This theme was also reinforced by a couple of training sessions that assumed virtual server environments. I found I had a unique combination of unique questions and answers for a few too many of the “not sure when you’d use this” comments. Why? There’s already many great blogs online in this space. Hopefully, I’ll be able to add something to the discussion. I intend to at least say something interesting. If you’re looking for regurgitated release announcements, you’re hopefully in the wrong place. Failing any of that, I’ll at least have some good notes on some of my lab experiments. 1) As I noted previously, I’ve decided to get things underway rather than get stuck satisfying my hang-ups on hosting, themes, markup, and the like. As a result there will probably be some things that get moved around as I add more content. Hopefully this won’t be too disruptive to the reading experience. 2) Commenting is currently disabled. I realize this puts a dent in community engagement, but until I know I can do so semi-safely and without a ton of overhead, comments are on the “release unassigned” backlog. Trackbacks from other blogs should be enabled, so if you’ve running your own show, link away. Failing that, I look forward to hearing from everyone on Twitter. As a final note, if you haven’t heard about the VMUG EUC Explore events coming up in Minneapolis and Atlanta, check them out and consider attending.